When you're looking for a partner to help you negotiate the complexities of selling a home, you've come to the right place. The experience, dedication and strong communication you'll receive here will help ensure the successful and profitable sale of your home. The Local Advantage - Take advantage of a broad spectrum of technologies and tools to support the sale of your home from start to close. Internet Advertising - Since the lion's share of home buyers starts their search on the internet, top placement on search engines is essential. You'll gain access to placement on Google, MSNBC, and other websites. 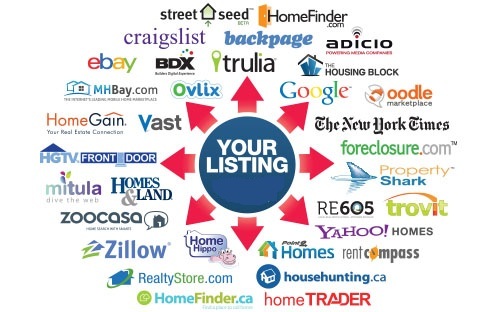 This will maximize your exposure and bring a large number of potential buyers to view information about your home. We are internet marketing experts. 1. MLS: Up to 36 high quality photos, Virtual tour slide show link and community links and more. 2. Realtor.com - All listings feed to realtor.com for the public to search. 3. Placement of your property on 80 plus web sites and growing via our syndication technology gives your home the best possible exposure. Including first page placement on search engines to Weichert.com. 4. Placement of your property on our company site. 6. And so much more. Personal Touch - Of course, technology alone won't sell your home. Face-to-face interaction provides the advantage to sell your home-and you won't have to worry about a thing. The details will be handled with care and constant communication, to ensure the marketing and sale of your home go smoothly. Our testimonials from past clients.